It’s time to gather around the TV with your family and watch Classic Christmas Family Movies. Get ready for a fun and festive evening at home. 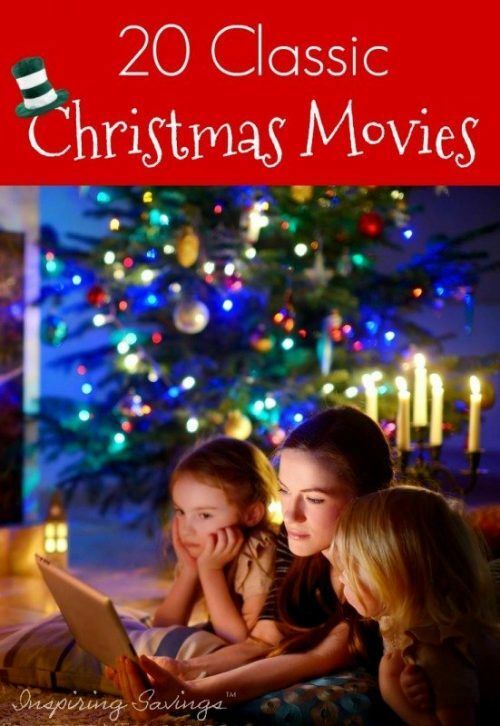 Christmas movies for kids are a fun way for families to get in the holiday spirit! Enjoy the 20 Classic Christmas Family Movies from old school classics like Miracle on 34th Street and It’s a Wonderful Life, to newer favorites like Elf and The Santa Clause, for a fun and festive evening at home.